The Women’s Soccer season continued with a competitive effort against powerhouse Drake University Saturday. UMKC played it tight and won a close game, 2-1. From the beginning, the game was an offensive contest. UMKC scored first, with 39 minutes still left in the first half. On a penalty kick, Drake scored its first point just a few minutes later. But the rest of the half was scoreless, without much going on except for a few shots on goal by each side. The second half started out in similar fashion, with the momentum meandering back and forth. The only scoring in the second half came with 14 minutes left in the second half by UMKC. That proved the last offensive burst for either team, and Drake was not able to effectively rally at the end of the game. Coach Chris Sissell expressed excitement with how the game unfolded. “I was really proud of my girls,” he said after the match. He emphasized that Drake was a competitive team. 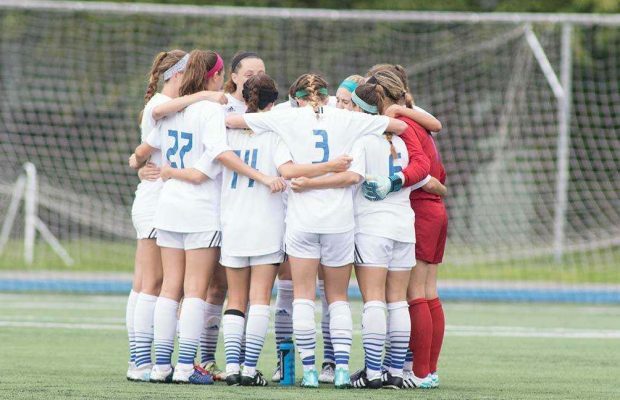 UMKC has a break in the action before the next game, at home against William Jewell and then Tulsa on Saturday April 22.